Mardin is a metropolitan municipality in the Kurdish region of Turkey, and is the capital of Turkey’s Mardin Province. The city is well known for its architecture, ancient history and great weather. Mardin is located in the southeast corner of Turkey, just north of the border with Syria, and just west of the border with Iraqi Kurdistan. Because of its proximity to these borders, Mardin is full of mixed cultures and religions including Kurds, Yezidis, Christians, Syrian and Turks. Due to its strategic nature, the city was home to many religions and cultures over the centuries, including the Assyrians, Romans, Muslims, Mongols, Catholics, Armenians, and Chaldeans. The city was annexed by the Ottoman turks in the 16th century, and has remained under Turkish rule. Mardin was one of many sites affected by the Assyrian and Armenian genocides. 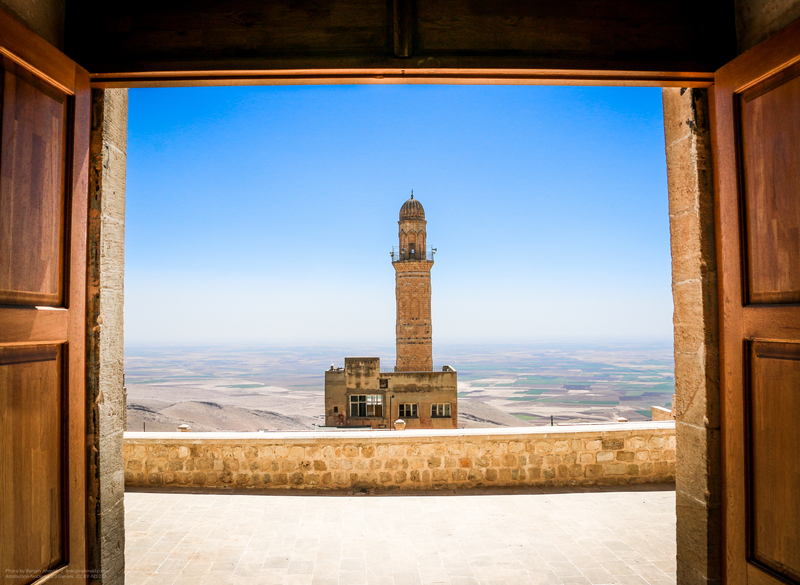 Mardin is full of historic landmarks, and the entire city has been designated a UNESCO World Heritage Site. There are famous mosques, churches, and madrassas (places of study) throughout the city. It is also famous for its numerous minarets spiking out of the steep hill.